Can I come and walk the dogs? Yes, you can usually walk our dogs from Tuesdays – Sundays 10.00 – 14.00. Please click here to register your interest. Can my children work at the shelter? Our insurance does not cover us for people younger than 18 years, even if supervised by an adult. We are often short staffed and supervising a young person could put extra burden on another volunteer. Can PAWS-PATAS pay to have my dog spayed? PAWS-PATAS gets no statutory funding, and we do not have fund available to help with neutering pets. Can you come and collect this cat/kitten(s) and take them away as they are hurt/injured/not wanted? For sick or injured animals please contact your nearest vet. For a list of the vets in our area, please click here. PAWS-PATAS do not employ any vets or nurses nor do we have the resources to deal with sick or injured animals. For unwanted animals, please complete the waiting list by clicking here and one of our volunteers will contact you. Can you help with neutering a cat? PAWS-PATAS gets no statutory funding, and we do not have funds available to help with neutering pets, but we may be able to help with neutering stray cats under our TNR scheme. Please click here for more information. Can you recommend a vet in my area? We cannot recommend a particular Vet. We do work with several Vets in our area. Please click here for a complete list of all the vets in our area. Can you take in this cat/kitten(s)? We might be able to help. Please click here and complete the form to be added to our waiting list, and one of our volunteers will be in touch to discuss with you. Do you have any special breed puppies / kittens? Most of the abandoned cats and dogs are mixed breed, but please click here to look at the the dogs and cats needing homes. Do you want old blankets and towels? Yes please, you can leave them at your nearest Fund Raising Outlet, or bring them to the shelter. Click here to see which one is nearest to you. How do I report an abused dog? Please call Seprona on 062 or email them on seprona@guardiacivil.org. 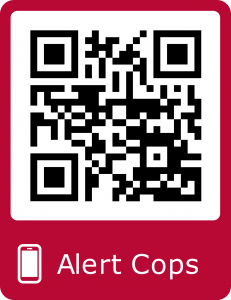 You can also download their very useful app Alert Cops, which will pinpoint your location if a message is sent from the app. I cannot keep my dog anymore, can PAWS-PATAS take him/her? We might be able to help. We can advertise it on our Facebook pages, or if you want, you could click here to be added to our waiting list, and one of our volunteers will be in touch to discuss your needs. I have found cat/kitten, dog/puppy – can you take it in? We do not always have room to accept animals, depending on availability of space, but if you are willing to care for it, we can put it on our waiting list, or advertise it on Facebook, provide you with flea/tick control and worming treatments. If you want, you could click here to be added to our waiting list, and one of our volunteers will be in touch to discuss your needs. What do i need to do to take my dog back to UK? When are the fundraising outlets open? Please click here to access the Fund Raising Outlet opening hours.